When it was time to return home, we checked in our luggage at the Airport Express check-in counters beneath the IFC Mall before having lunch at the mall and taking the train back to the airport. 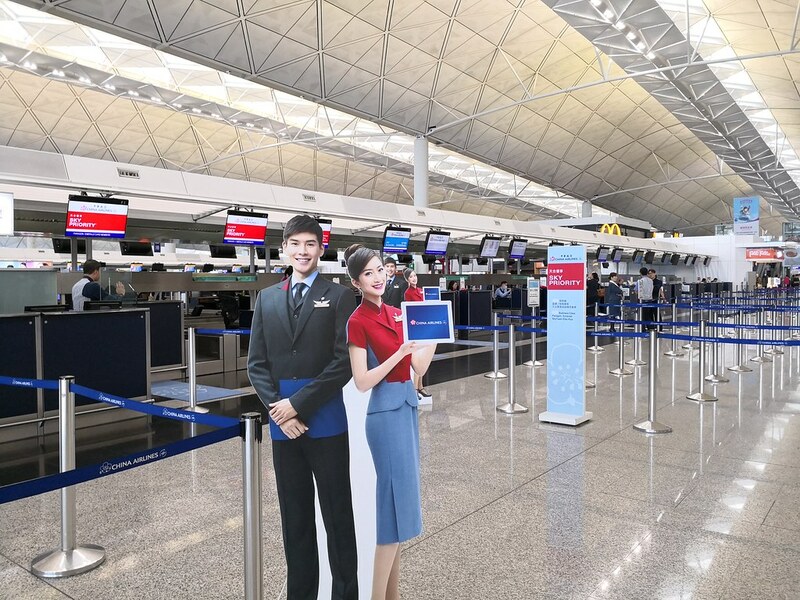 That meant bypassing the China Airlines check-in counters which seems empty. 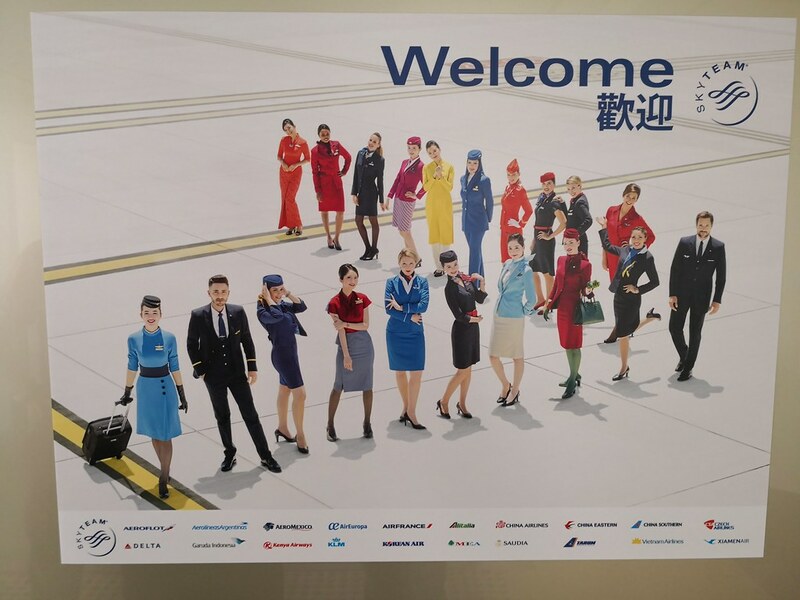 For this reason, I always enjoy the seamless convenience of flying out of Hong Kong. 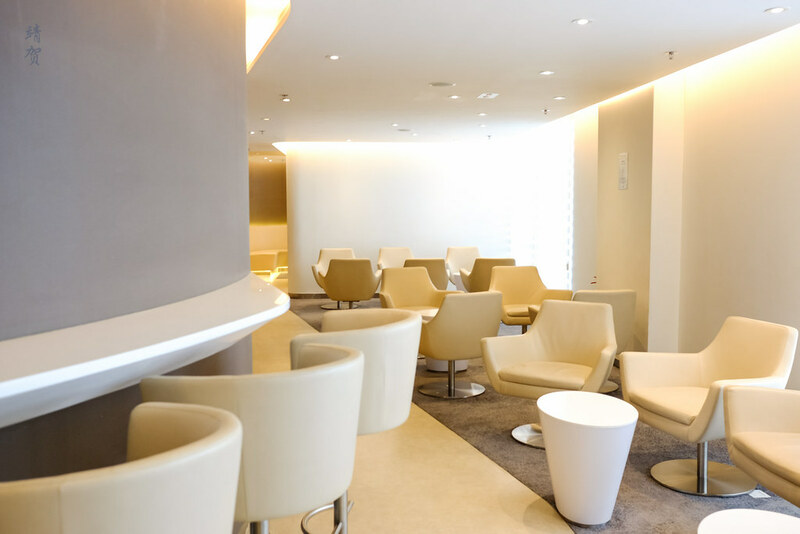 And since I was a Sky Team Elite Plus member, I was able to gain access to the Sky Team lounge near gate 10. There is a set of escalators that I take to go one level down from the departures area to be greeted by a small reception desk. 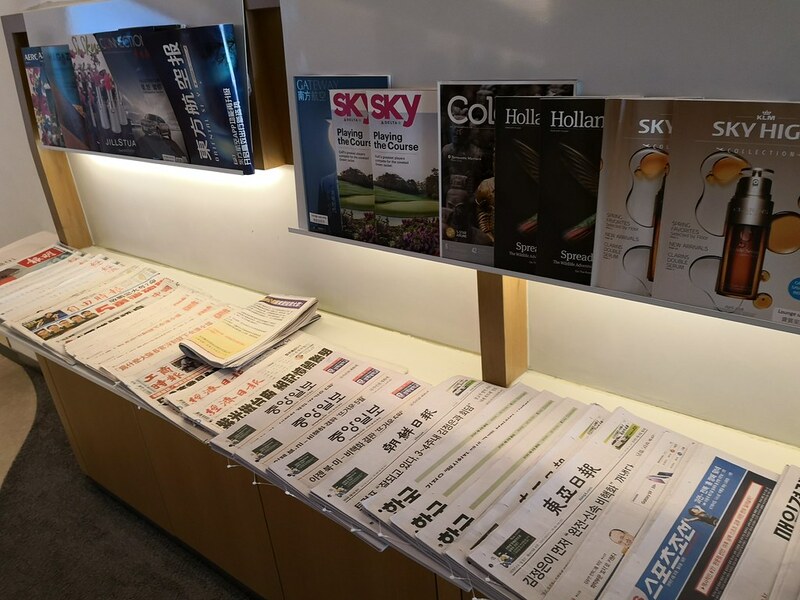 Outside in the walkway, there was plenty of magazines and newspapers from the airline members that make up Sky Team. 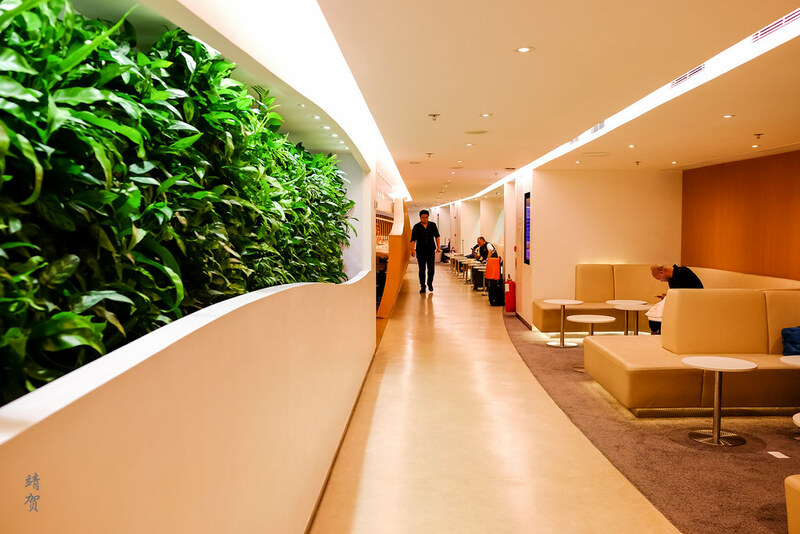 Past the reception, guests are greeted by a green wall on the left and some seating space on the right. There was a small roped-off area with a sign stating it was for VIP only. 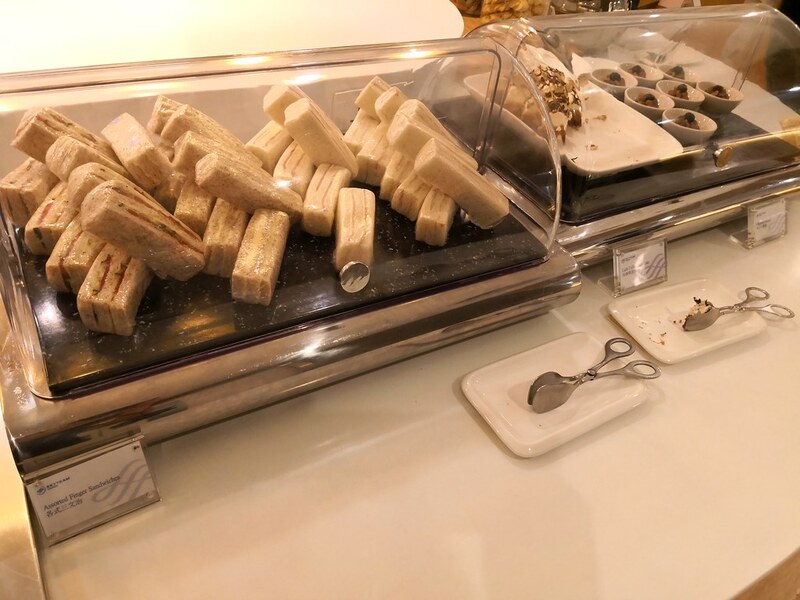 Proceeding into the lounge, the first thing guests notice is the buffet table with plenty of seating for eating and drinking. 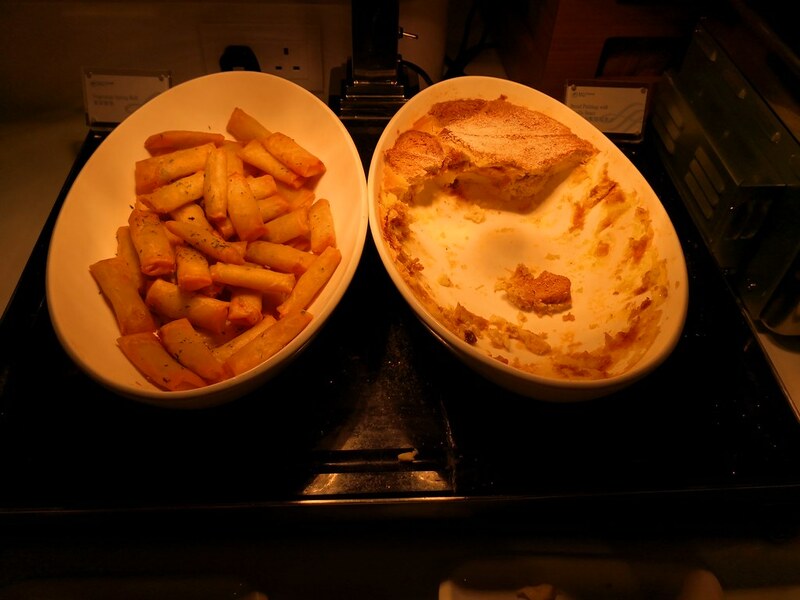 This was the busiest part of the lounge when I visited around 3pm. 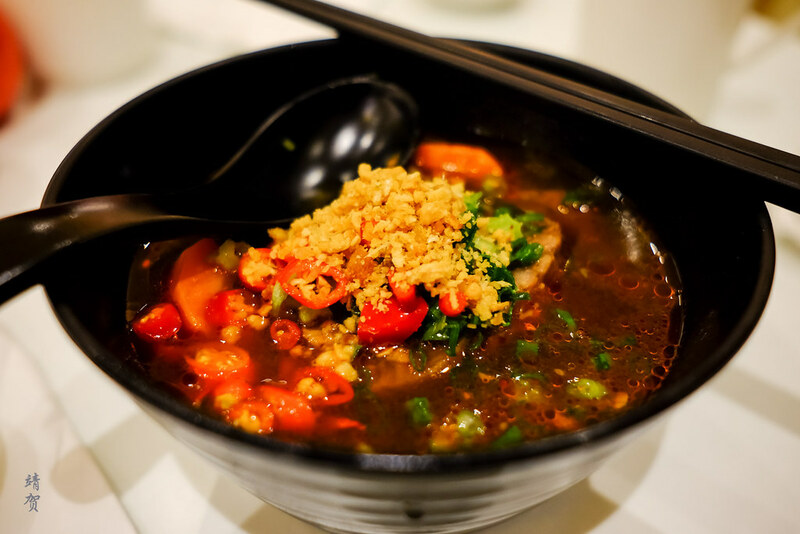 On one corner lies the noodle bar where guests can order from a selection of noodle bowl. 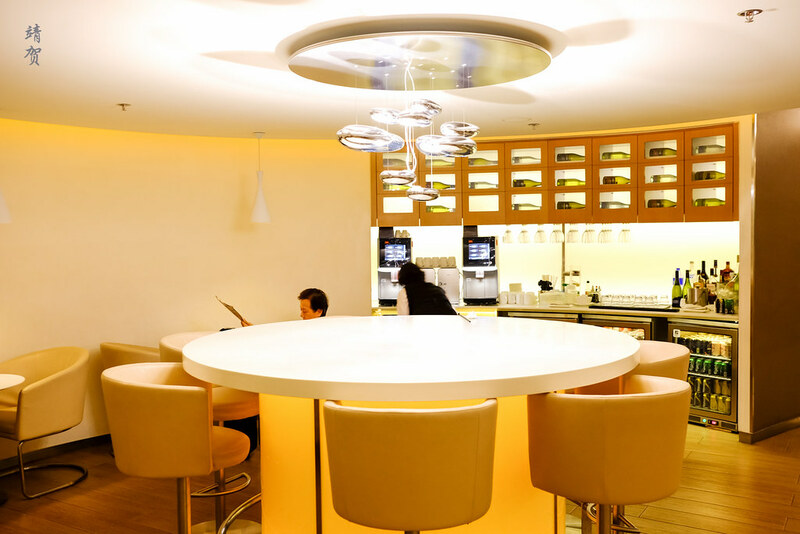 The area was brightly lit even though there was no natural light and it was a conducive space to dine. 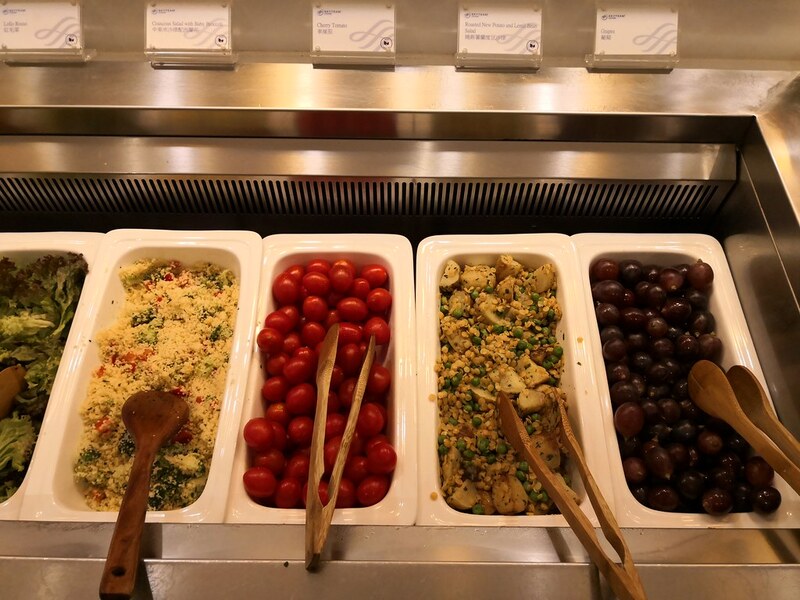 Starting the buffet with healthy selections, there was some fresh apples on the platter, and a salad bar with some pre-mixed salads. 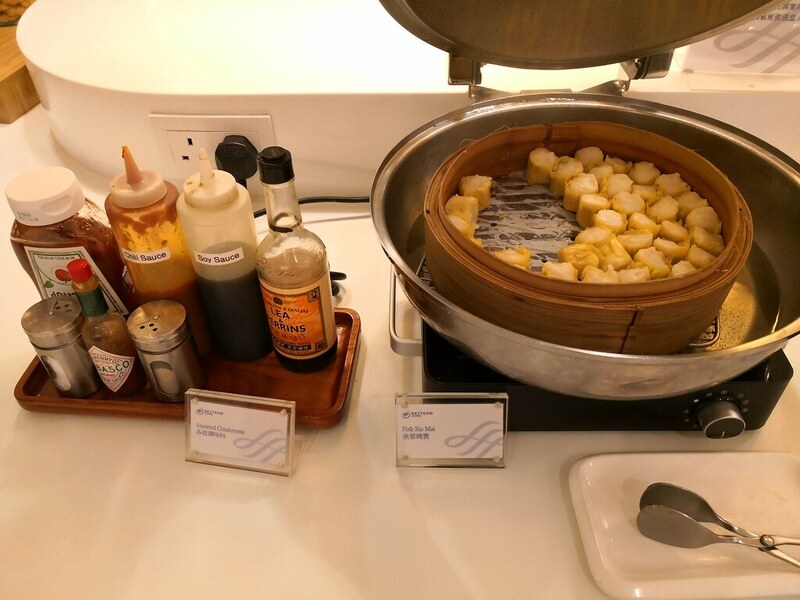 Chinese options on the buffet includes some dim sum and there was fish siu mai served when I visited. 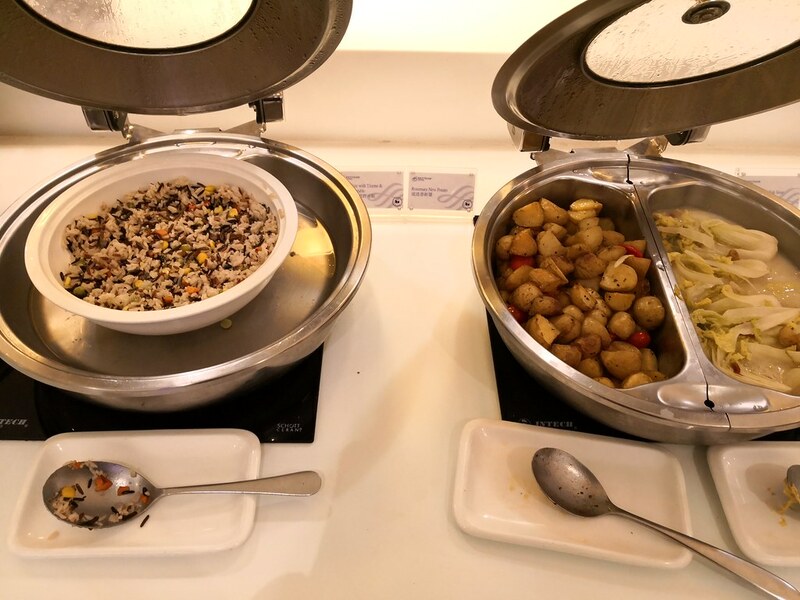 Other hot dishes served includes vegetarian rice, stir-fry cabbage and potatoes. 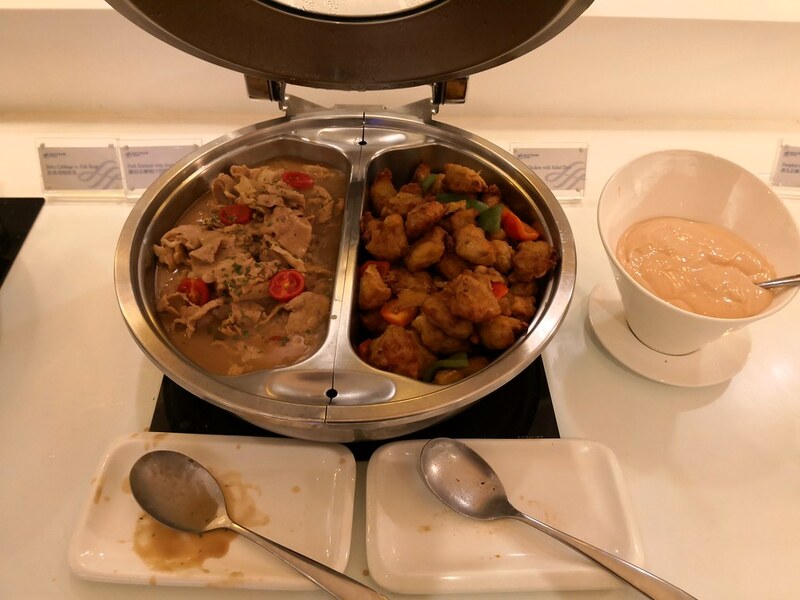 The main course was stir-fry pork and fried chicken. 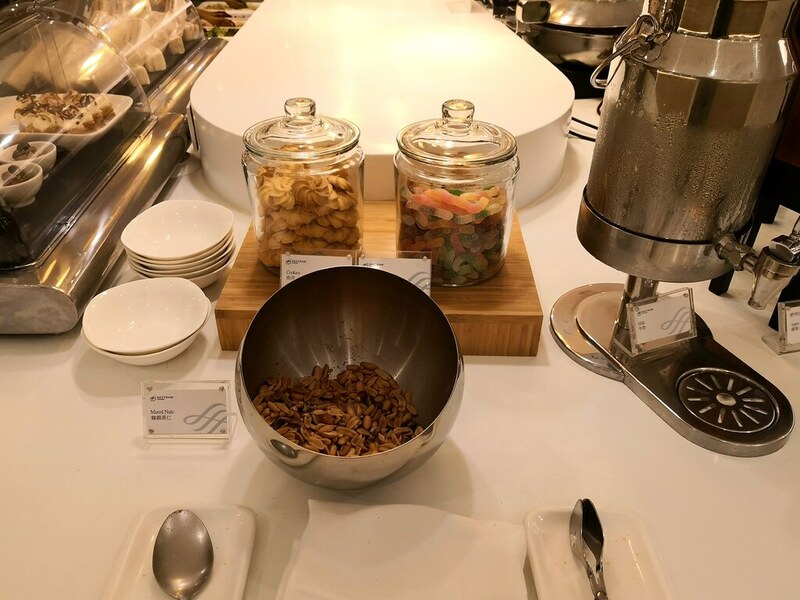 For snacks, guests can choose from fried spring rolls, wrapped sandwiches, muffins and cakes while there was also bread pudding as dessert. 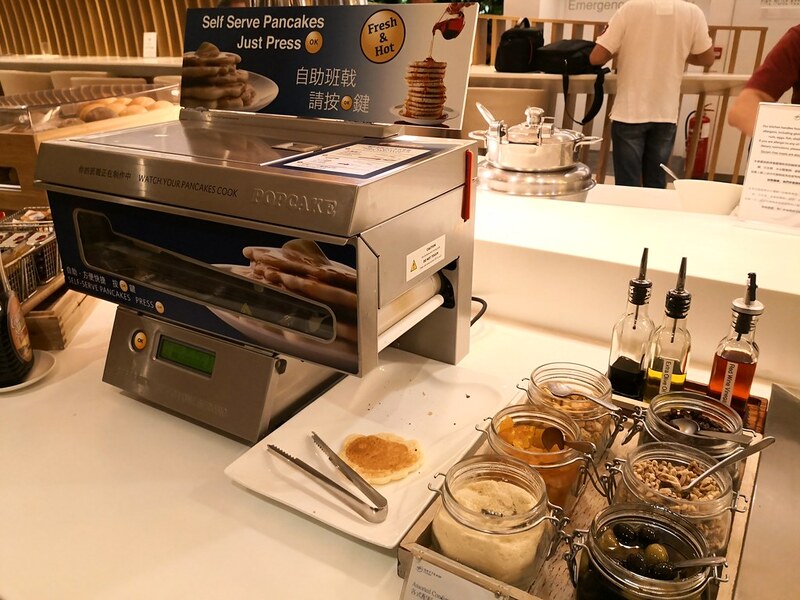 A DIY pancake machine allows guests to make their own pancakes and there was nuts, cookies and candies in jars in the centre buffet console. 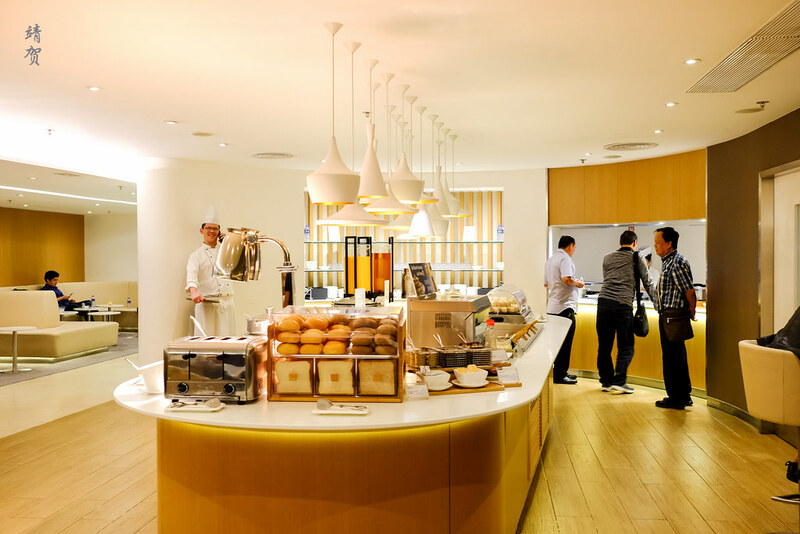 Like the Cathay Pacific lounges, the Sky Team lounge has a noodle bar with 4 types of noodles offered for guests. I had one of the Taiwanese beef noodle since I was flying China Airlines which is Taiwan’s national carrier and the flavour did not disappoint. 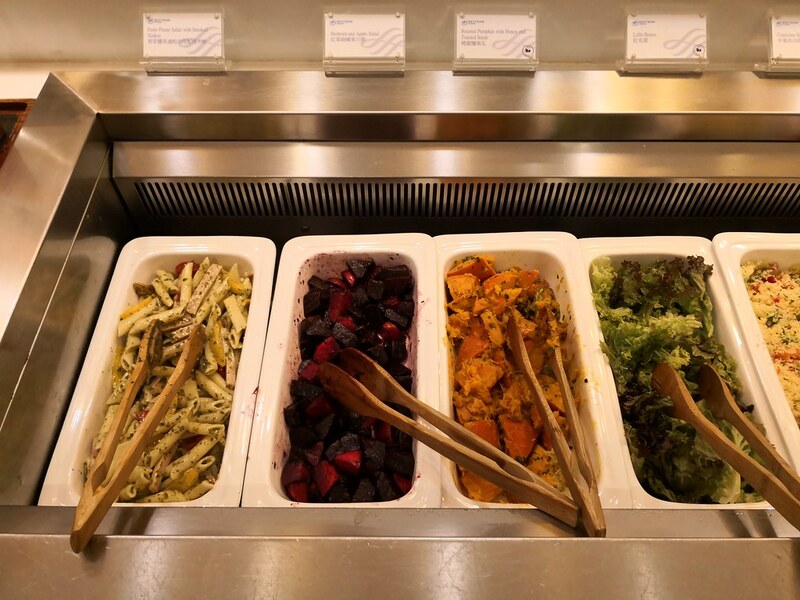 The food here is on par with what is served in Cathay Pacific’s lounge. 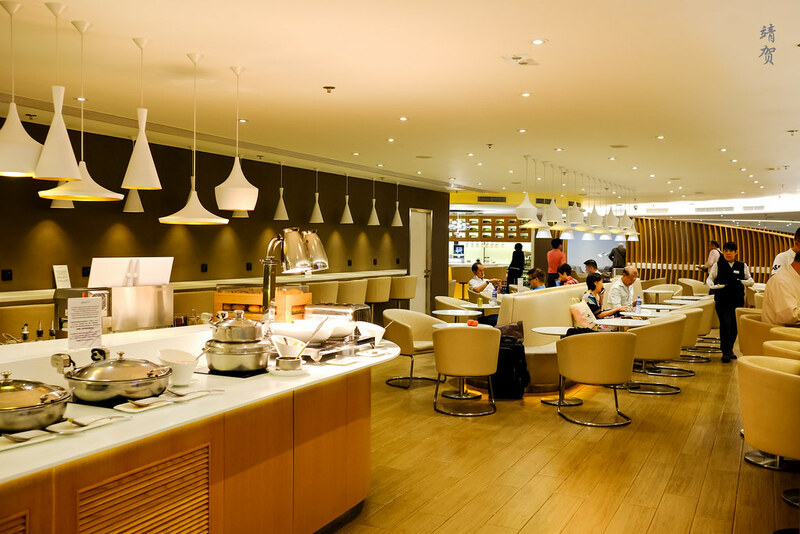 Within the dining space, there was a multitude of seating options and they were useful for solo travellers, couples or group travellers. 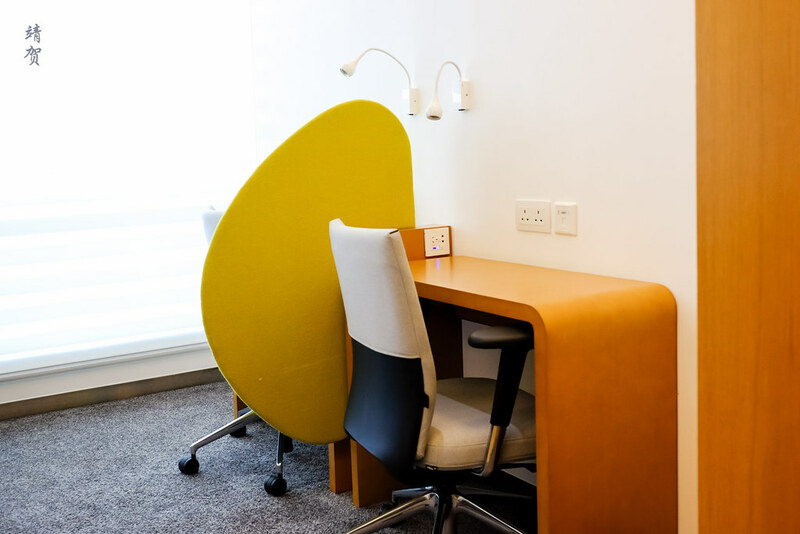 This versatility makes the space very friendly to travellers. 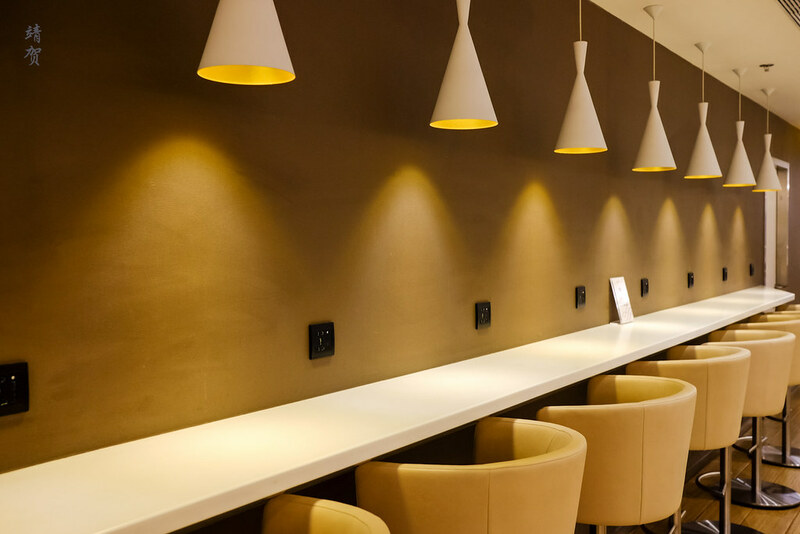 Along the wall, there was even power plugs so travellers could charge their devices while enjoying their meal. 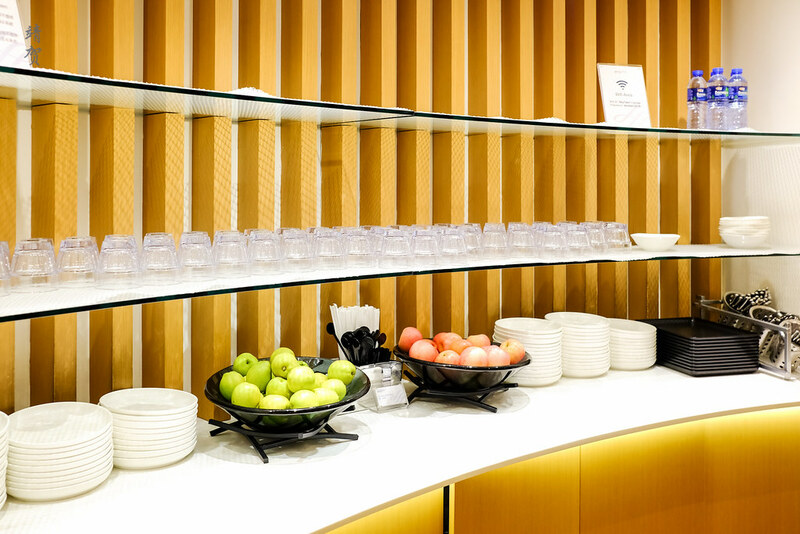 Adjacent to the dining space, there was a self-serve bar space with a round table in the centre. 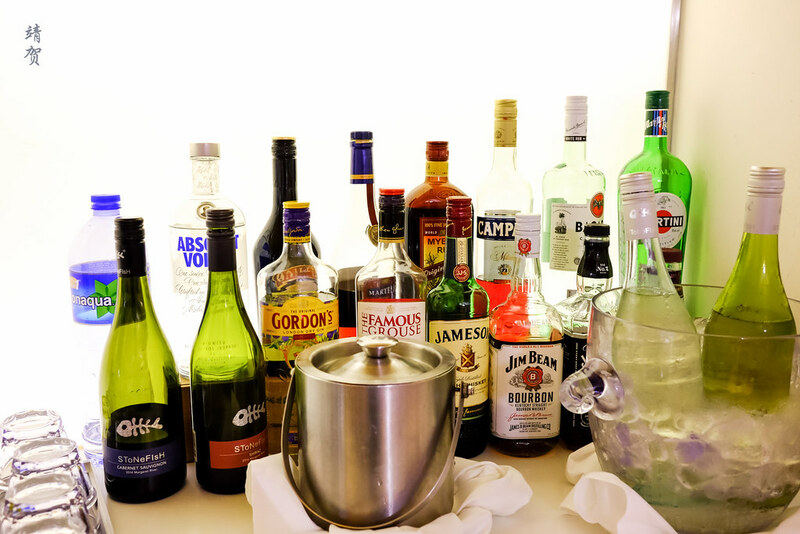 At the side, there was 2 espresso machines with a well-stocked drinks fridge below and alcoholic drinks on the right. 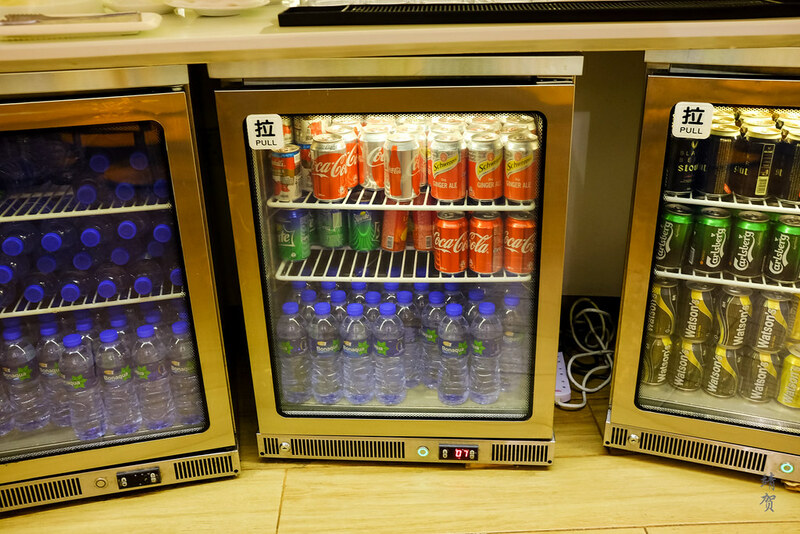 Beer by the cans and mineral water by the bottles are available in the lounge, making it convenient for travellers seeking to grab-and-go when they have limited time before their next flight. 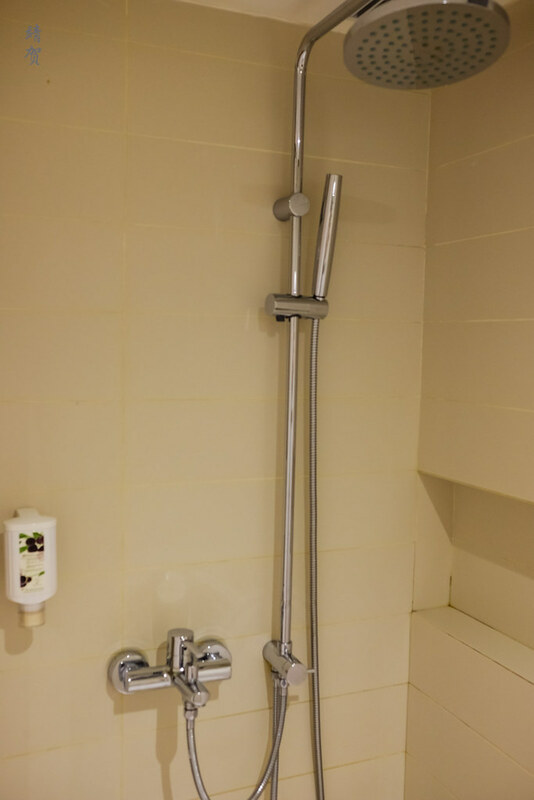 Two shower rooms were available in the lounge though they required registration with the reception who will then supply the keys and fresh towels. These private bathrooms come with their own toilet and a vanity counter though they are somewhat on the small size. 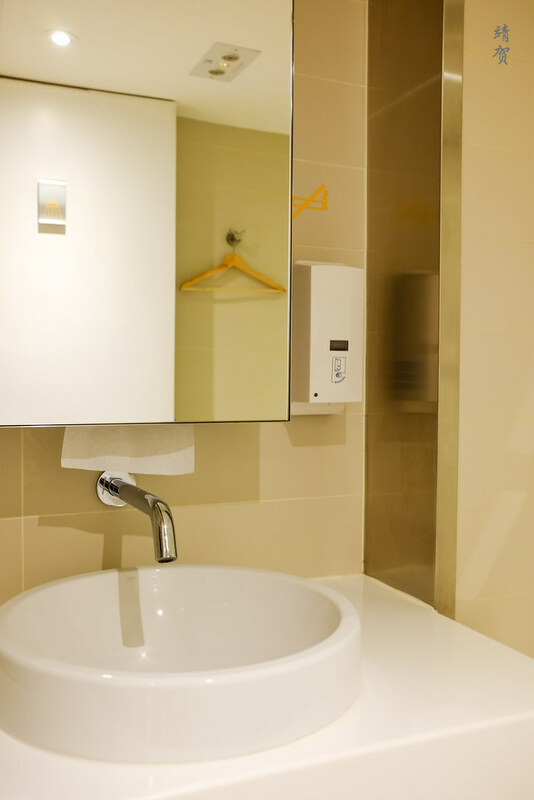 The shower area itself is separated with basic shower curtains and wall mounted amenities. It has a rain shower head and a hand held one for convenience. 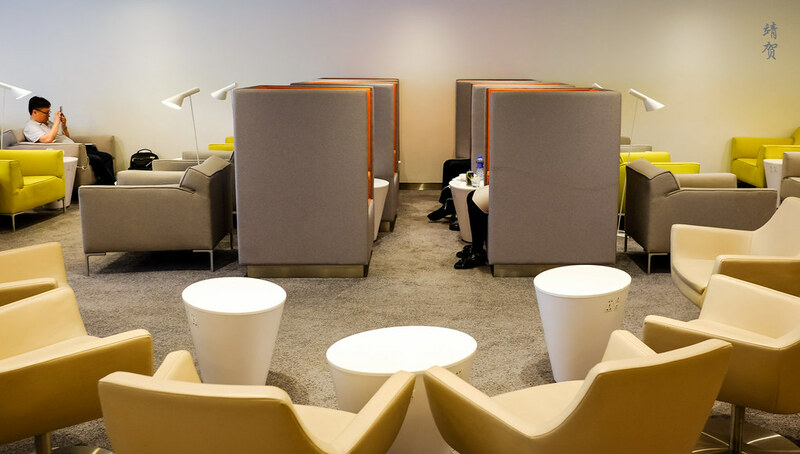 Back in the main lounge, I was able to use the free WiFi without fuss and enjoyed the nice ambience of the lounge since the back of the lounge was conducive for reading. There are even large individual armchairs for guests who desire privacy in the lounge. The seating configurations are mixed and there are always power plugs and small side tables nearby. 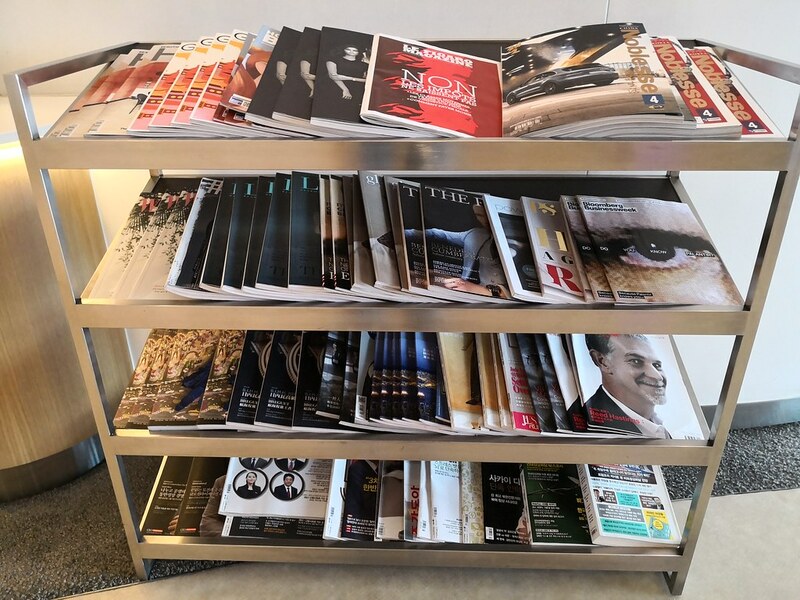 The use of wooden slats as partitions gives a sense of separation between the areas and because it was not too busy, the atmosphere is peaceful enough for guests to do work or read their book. In case they need even less of a distraction, there are even more seating space behind the wall that receives some natural light. As this area is shielded by a wall from the dining space, there was no one and even less noise here. 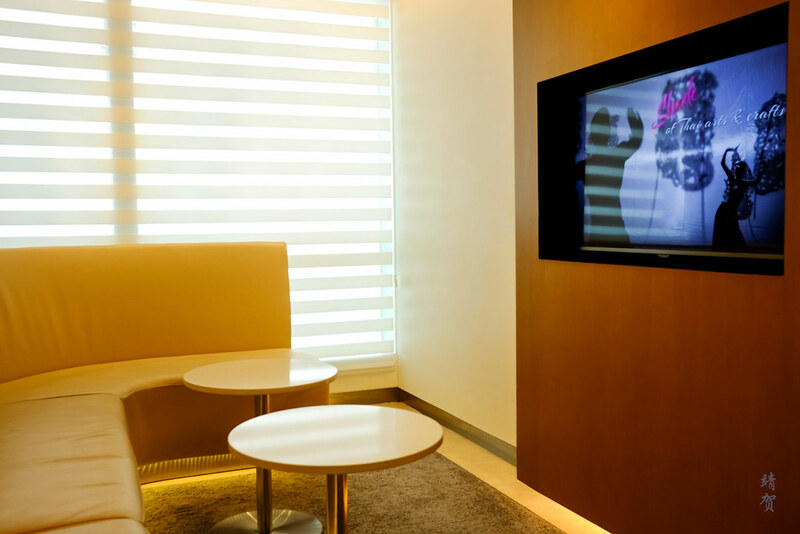 At the end of this lounge, there is a small TV lounge for guests seeking to watch the news. Beside the TV room, there was a small room that has Macintosh computers on one side and personal cubicles with power plugs if you brought your own laptop at the other side. This private room is perhaps the most private for guests seeking to do their work in the lounge. 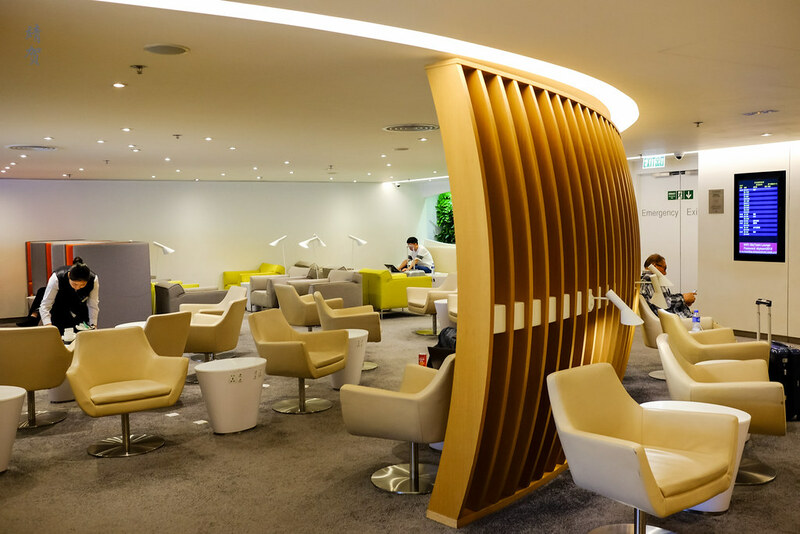 Since I visited the lounge when it was not too busy, I found this to be a really nice space for travellers flying with Sky Team airline partners. 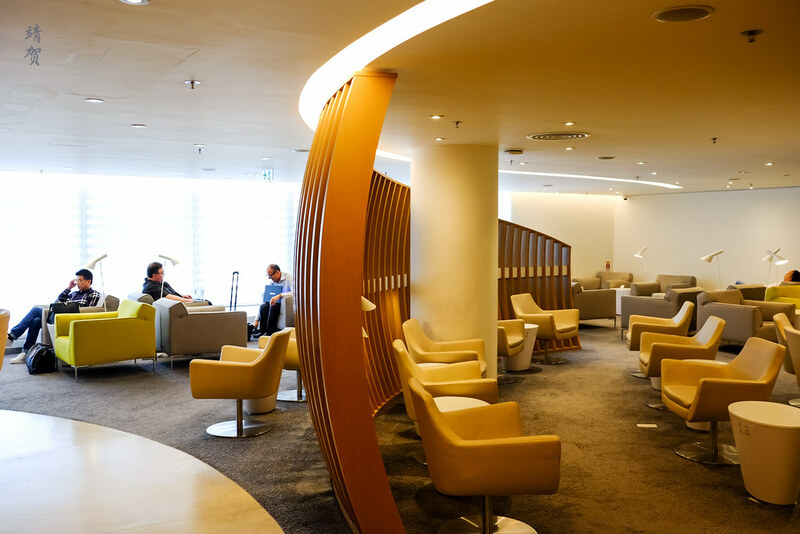 Aesthetically, the lounge was beautiful and the design has been well thought out so that it caters to the different needs of individual travellers. 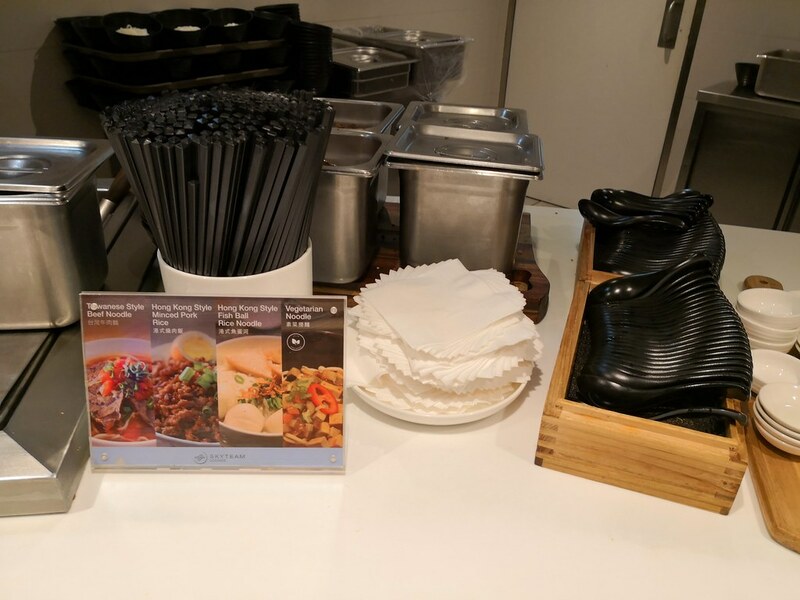 While the range of food does not seem to be that diverse, I appreciated that it had a noodle bar and beverage in containers that guests can grab easily to-go. 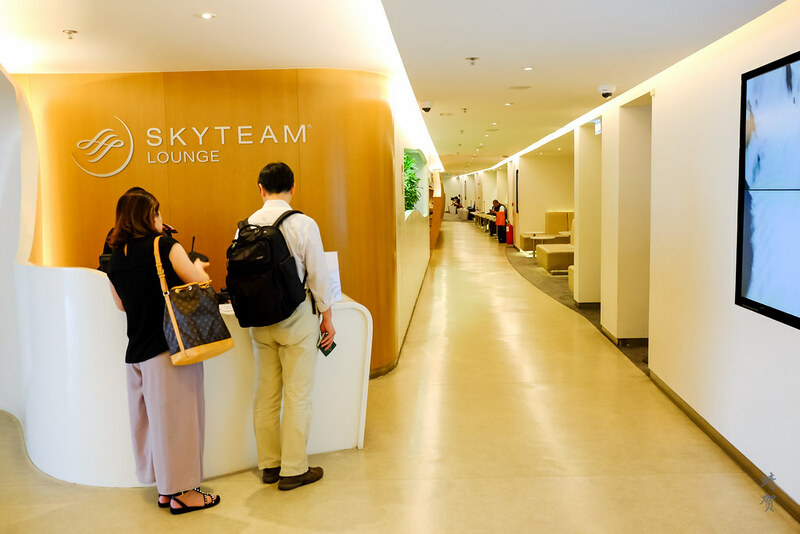 With the positive impressions of visiting this lounge, I am looking forward to try out the other Sky Team lounges around the world in the future!